Polly Anne & Salina are perky pug-Chihuahua mixes who need your help finding their forever home…! Read, like and share, share, share! 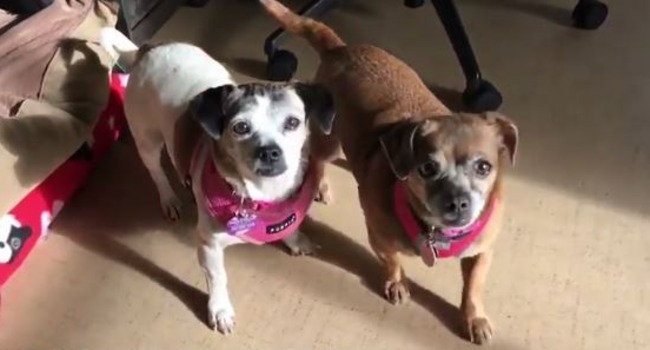 The gang at Muttville Senior Dog Rescue in San Francisco are completely in love with this bonded pair, and they think you will be, too! It’s hard to imagine it watching this video, but when these sweet girls came into rescue, they were nervous and shy. Watch them here with Luba, the Mutt Manager at Muttville, and you’ll see that they’re anything but! Puppies at heart, these girls (they are pug-Chihuahua mixes) love to play, cuddle and scarf treats! You see, once they realized they were in a safe, loving environment, they really blossomed into wonderfully social dogs who bask in the company of loving people who pet and praise them. Muttville staffers speculate that once adopted, the sisters could take a little time getting used to their new environment, but with patience love (and remember: treats!) they will gain confidence quickly and become silly-sweet snuggle partners. They are about 10 years old and weigh 12-15 pounds. Won’t you consider giving these girls a forever home…? 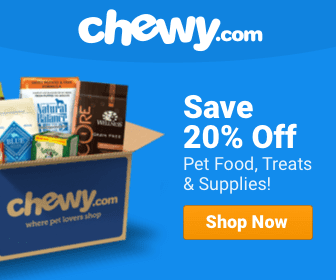 Visit their page at Muttville here. Sofa: 1. Life Goals: 0.